Congratulations to Dr Laurie Bristow, a former student at Colchester Royal Grammar School, who has been made a Knight Commander of the Order of St Michael and St George for his services to British foreign policy in the Queen’s New Year’s Honours list! 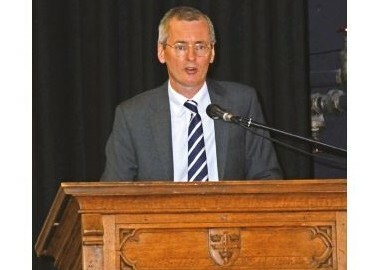 After leaving CRGS, Dr Laurie Bristow went on to study at Cambridge’s Trinity College. He took up his first Government role with the Foreign and Commonwealth Office in 1990 and went on to become a leading expert on the country’s relationship with the European Union. Since then, he has represented the UK with diplomatic roles in countries across the world, including Romania, Turkey, Iraq and Azerbaijan. In 2015, he was made the British Ambassador to Russia, making him a central figure in trying to calm frosty relations between the two countries, with incidents including the poisoning of Sergei and Yulia Skripal. So far, Dr Bristow has enjoyed an impressively wide-ranging career. 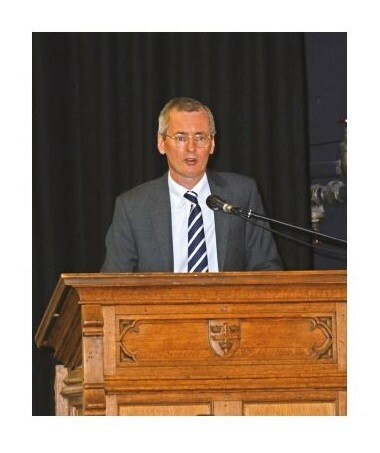 In 2016, we were honoured to have him as our guest speaker at the CRGS annual Speech Day ceremony, during which he gave the students some pearls of wisdom to digest.